When you’re looking to decorate your home with new area rugs, you may want to stick to something a little more eco-friendly than other options that are out there. 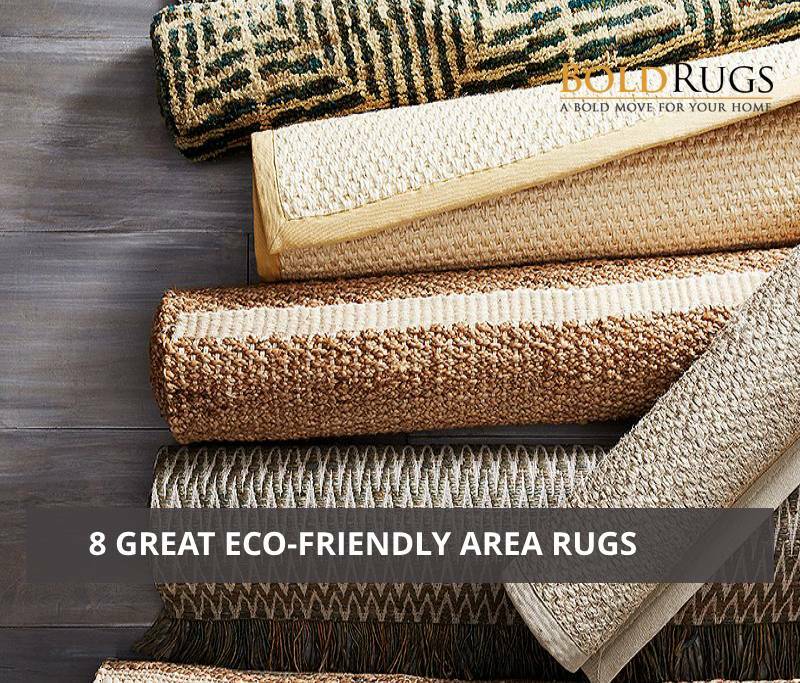 Although it may be challenging to locate rugs that are truly eco-friendly, you’re sure to eventually find just what you need for your home. Many of these rugs are designed to work both indoors and outdoors, but some should only be kept inside depending on the materials they’re made of. In this article, we’ll show you eight beautiful eco-friendly rugs you can choose from when you want to make décor decisions that will positively impact the environment. 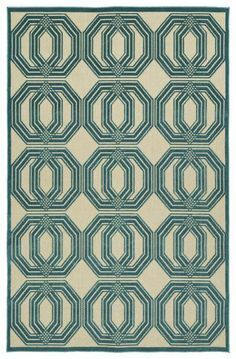 The Surya Royce RYC1000 rug is a beautiful transitional piece that can work in many room styles. 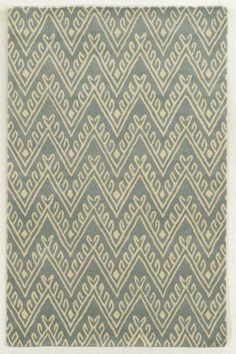 It features a dark brown, earthy backdrop and light blue-gray floral designs in the foreground as well as a very thin border. 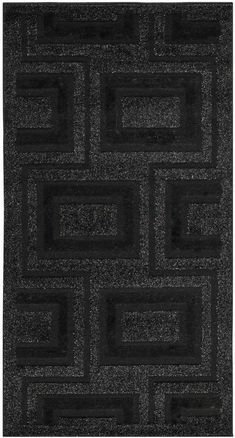 This rug comes in a few rectangular sizes including a larger centerpiece option. It is made of 50% wool and 50% Tencel and features a hand tufted design that makes it soft and luxurious for anyone who walks on it. This elegant rug can make a statement in your living room or bedroom with ease. When you pick the NuLOOM Flatweave Rainbow Albina Area Rug, you can enjoy the beauty of a gorgeous multicolored rug that keeps things casual from start to finish. 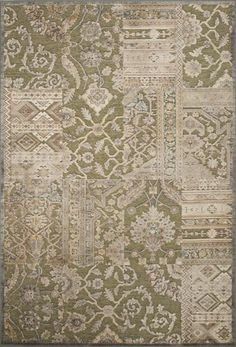 This rug is available in several sizes, all of which are rectangular, and you can purchase it as a runner if you prefer as well. It features a white backdrop with a rainbow repeating geometric print and small tassels on the short ends of the rug. This piece is made of 100% recycled chindi fabric and is hand loomed. It features a flat weave that makes it great as a casual, thinner throw rug. If you’re looking to add a little color to your interior without going too over-the-top, you may want to consider the Safavieh Mirage Dream Blue Area Rug. This rug only comes in larger floor sizes and is only available in rectangular options. However, it is sure to add plenty of beauty, elegance and charm to any room in your home, and looks especially nice as a casual contemporary living room centerpiece. 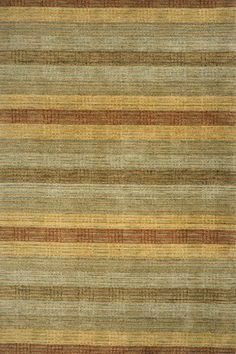 This rug is made from 100% banana silk and is hand loomed for uniqueness as well as durability. Check out the Surya Molana MOA1006 Area Rug when you’re looking for something in neutral tones to help mellow out your interior spaces. This rug features a neutral brown-beige backdrop with a repeating ivory white geometric pattern that places it in a solidly transitional style. The rug comes in a small, medium, or large size, each of which is rectangular. Made of 100% Tencel, this rug is very eco-friendly as well as soft and comfortable. Its hand loomed design makes it original and ensures that each piece is a little different from the last. This version of the Surya Molana rug, the MOA1004 Area Rug, is a little bit lighter and more colorful than the previous one. Instead of brown, its backdrop is a creamy yellow-tan that looks beautiful in country style kitchens as well as casual, contemporary living rooms. This rug comes in three sizes as well and may offer a great accent piece for your bedroom to tie the colors together, too. Its hand loomed 100% Tencel design ensures it’s soft and cozy for walking on, even when you step on it in your bare feet. Sometimes, you need a neutral rug that doesn’t cut corners in terms of design and style. If this is true of you, then you might want to take a look at the Jaipur Paltrow Kismet Area Rug. This rug is available in a solid white color with very subtle gray striping that gives it visual texture to go along with its physical texture too. 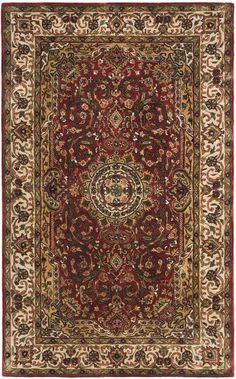 The rug comes in either a small throw rug style, a medium or large floor rug, or an extra large 9’ x 13’ option for bigger rooms. It is made of 100% Tencel. 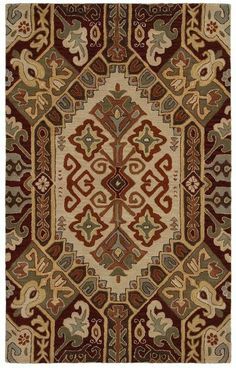 Pick between a small 2’ x 3’ throw rug, a medium 5’ x 7.5’ floor rug, or a large 8’ x 10’ centerpiece rug when you go with the Surya Kuria Area Rug. This product comes in a neutral beige-gray tone that matches most furnishings and styles very well. It features simple striping to contrast the gray tone with a little darker texture and is made of 100% Tencel to keep it eco-friendly through and through. The rug is hand loomed so it’s got a lot of character despite being a solid neutral rug as well. The Surya Royce RYC1001 Area Rug comes in three rectangular sizes to help you meet all your needs. Although it is a different variation of the Royce rug we’ve already mentioned in this list, the two do not look very similar at all. 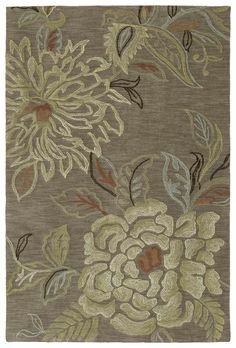 This version features a beige backdrop with ivory and darker brown floral accents in the foreground that give it an almost shimmering golden look. The rug is made of 50% Tencel and 50% wool, and it is hand tufted as well. This makes it soft and luxurious with a somewhat higher pile than others on our list. Were you able to find a rug that will help you take care of all your interior design needs? These rugs may not be as elaborate as some of the other options out there, but they are very high quality even so, and they are eco-friendly as well. When you want to make a rug decision that you can feel good about, pick from the list above. You’re sure to be pleased with the results and enjoy the sense of style and sophistication you can get from any of these beautiful rugs. Which Area Rug Style Suits You Best?